Praise Jesus brethren , I thank God for a good Sunday. 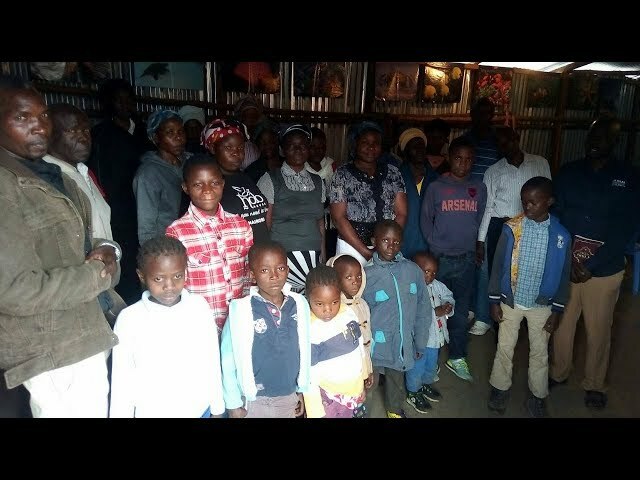 The fellowship was good and full of Joy as all the brethren were happy and so thankful for the blessings coming to Kibera. Thanks to the supporters of GMFC / WFF and all our partners (Living Faith, brother Mark, brother Justin and all our sisters there.) We appreciate the donations and are patiently waiting for it’s for the glory of our Lord Jesus. We all say thank you. Fellowship was so blessed from children to adults. Brother Peter taught the children. Adult fellowship was taught by brother Clement and I summarised. The topic was the power of worship (verses in Psalms 47:1-2 1 Chronicles 16:23-31, Psalms 99:1-9, Revelations 4:8-11 and John 4:21-26). May all the glory go to Jesus. AMEN. -Brother Joseph Otieno (mission overseer for the Kibera Slum, Nairobi, Kenya).